The sun glistens off a patch of bare ice Wednesday morning on Delaware Lake. 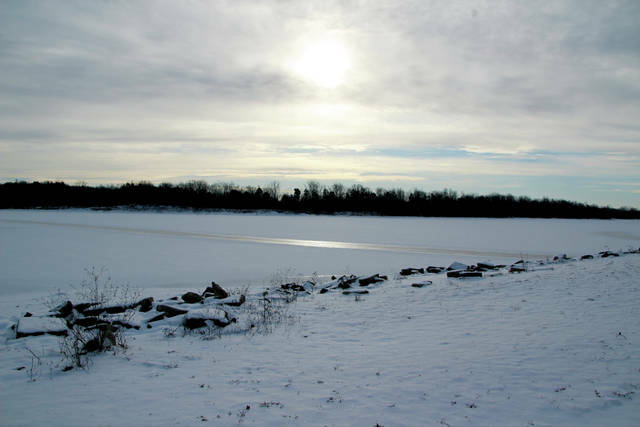 The recent period of sub-freezing weather has left many bodies of water in the area frozen over this winter. Bitter cold with sub-zero wind chill factors is expected to remain in central Ohio through the weekend, according to the National Weather Service. The forecast is calling for a bit of a warm-up on Sunday with the high temperature expected to reach 32 degrees. Warmer weather than what we’ve been experiencing is predicted for next week. High temperatures are projected to range from the mid 20s to the mid 30s, according to the National Weather Service.